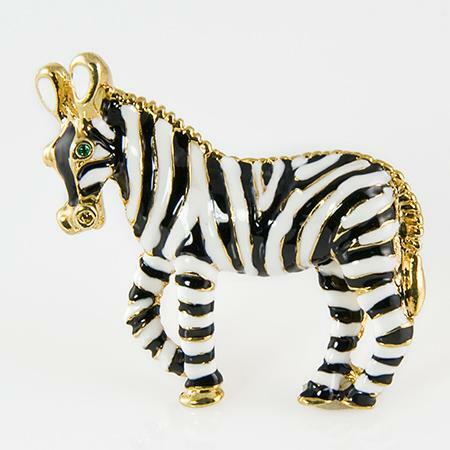 Exotic Enamel Zebra Pin accented with Austrian crystals set in a gold finish. Measures approx. 1.5" long x 1" tall.